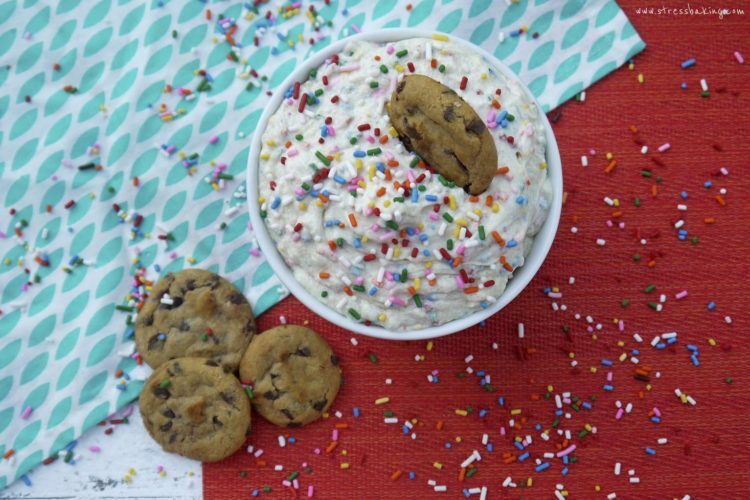 Cookie dough that tastes like cake batter, with no baking required. The perfect snack for when you just NEED some cookie dough, but can’t handle the idea of turning on the oven. Plus, sprinkles! Welcome to week two of the ramen and funfetti challenge! 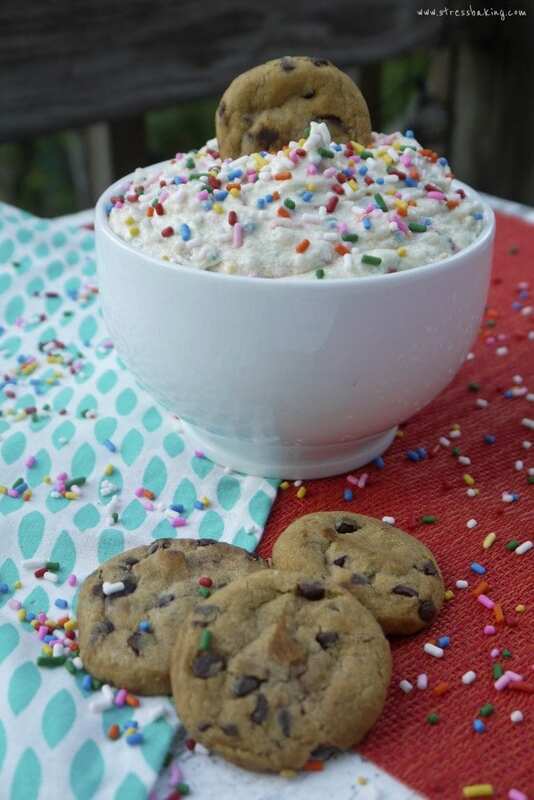 I wanted something completely no-bake, with not even a microwave involved, so this week’s funfetti recipe is Funfetti Eggless Cookie Dough. I have to start by apologizing for these pictures. It was literally 100° (at 7:30PM, btw) when I was taking these pictures and the dough was melting as it sat. I suppose there’s a little bit of irony in the fact that I made a no-bake recipe to avoid heat, but ended up in a sauna that sort of ruined the photoshoot. Sigh. Anyway. Despite how it may appear in the pictures, it really is cookie dough consistency. 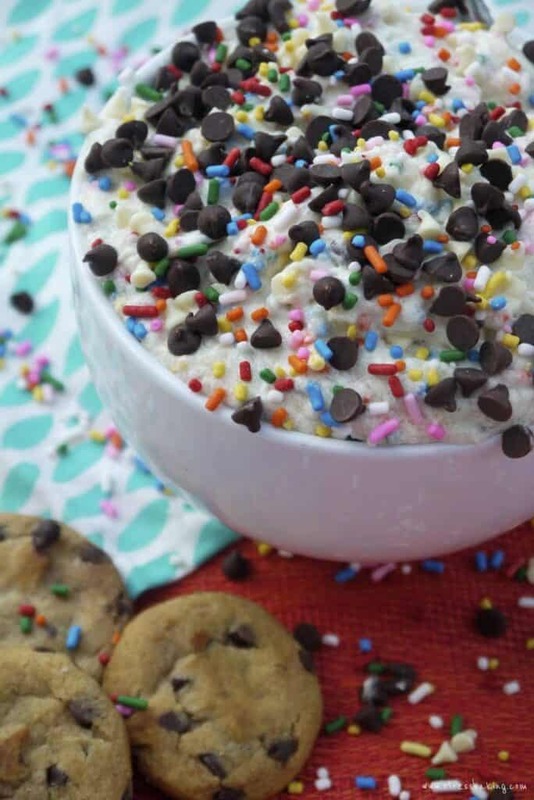 This is the solution for those moments when all you can think about is shoving a spoonful (read: ladle-ful) of raw cookie dough in your face while you watch House of Cards. There’s no egg, and quite frankly I leave out the milk most of the time and it’s still SO GOOD. If you wanted this to be completely dairy-free, you could. Easily. Note: You can’t bake with this. Don’t try! There’s no egg, there’s no baking soda. There’s just no baking. Don’t do it. You’ve been warned. 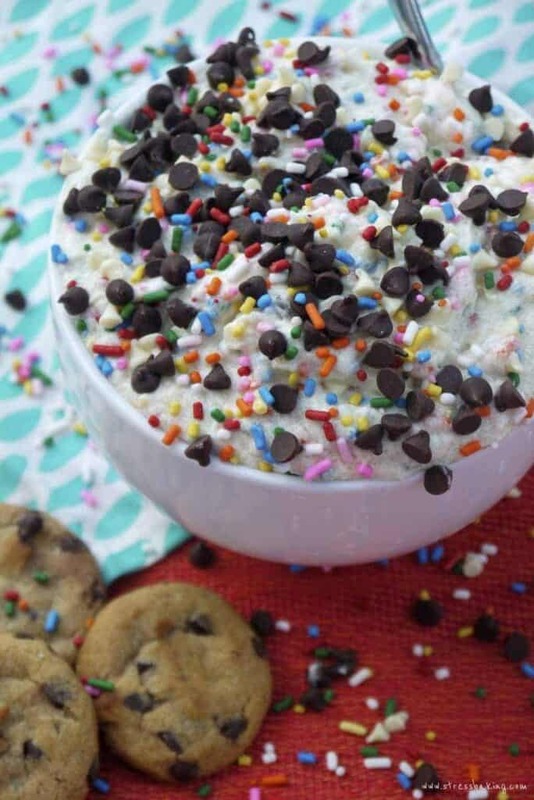 This isn’t just any normal cookie dough with sprinkles added in. No sir. 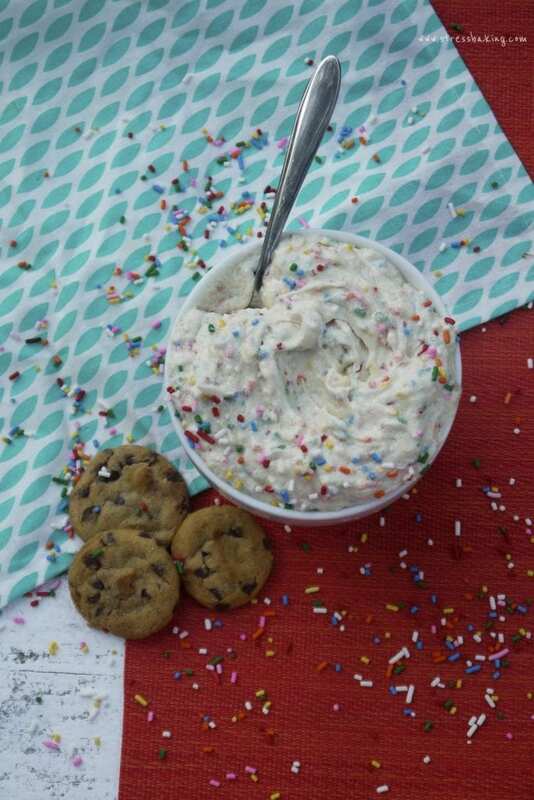 This is cookie dough that tastes like cake batter. You heard me. I’m messing with the laws of desserts here. 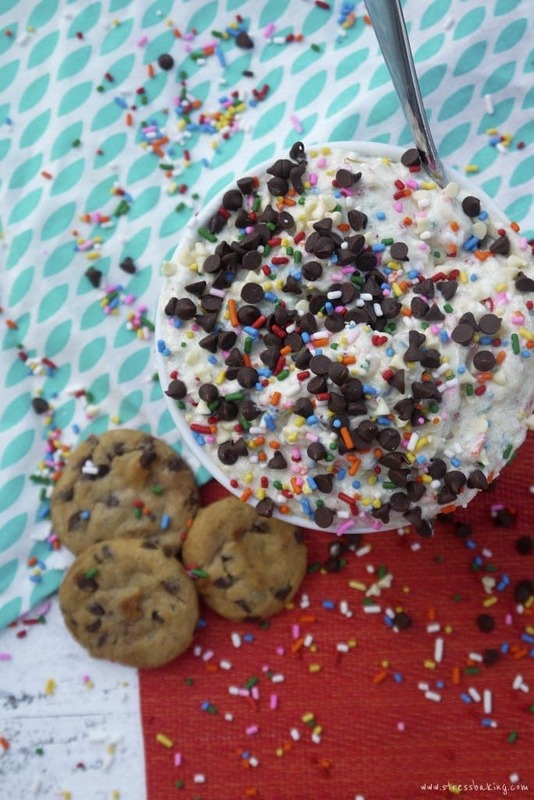 It’s cookie dough that tastes like cake batter. It’s okay to be confused when you take your first bite. Just go with it. I had run out of light brown sugar (blasphemy! ), so I ended up using white cane sugar instead. Light brown sugar gives it a more of a classic cookie dough-y flavor, but white sugar will work in a pinch. This recipe makes enough to share with your friends – but if you just want it for yourself, I’d recommend… well, still making the entire batch and just putting what’s leftover in an airtight container in the fridge. I don’t share, nor am I good at portion control. Now let’s talk about add-ins. I love it just the way it is, and nobody can tell it that it’s not beautiful. It doesn’t need makeup. But just for the sake of argument, let’s say you wanted to dress it up a little. Maybe it’s date night and you want to get all fancy. Maybe you could add some mini white chocolate chips. We already know how good the combo of cake batter and white chocolate is thanks to last week’s funfetti recipe, so why not? Oh, yeah. Check that out. It’s like we added just a hint of highlighter and contouring. 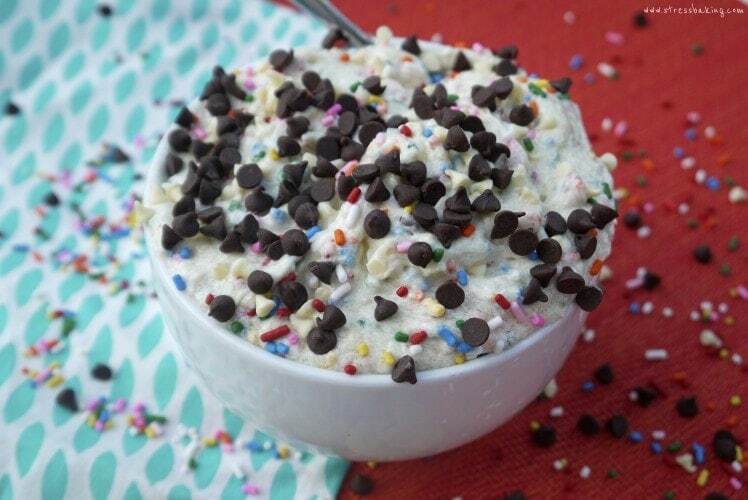 It’s subtle, but really brings out the color of its sprinkles. Now how about some mini semi-sweet chocolate chips? Now we’re really onto something. It’s like I added a coat of mascara and now everything just pops! But we’re still missing something. Oh, I know what it is. 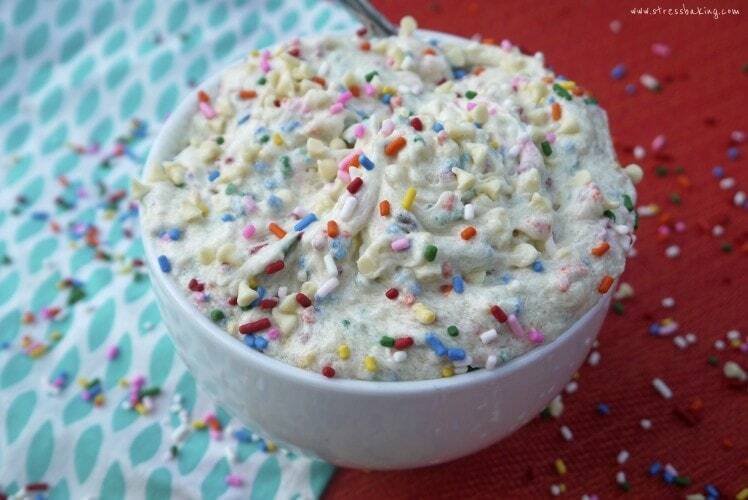 Because you can never have too many sprinkles. In a medium bowl, cream together sugar and butter until fluffy. Add vanilla extract and milk and beat until well combined. Add flour and salt, beat again until well combined. Fold in sprinkles (and mini chips, if desired).